With those touching words, and equally touching keyboard backing, Ali Matthews opens her latest CD: So Shall We Love: Songs of Worship and Faith. 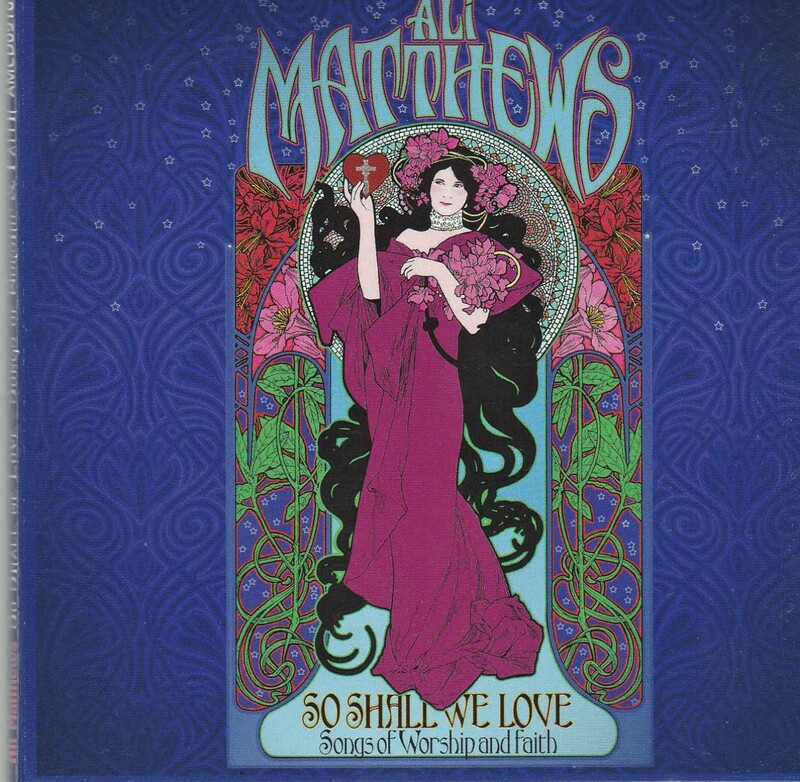 Musically So Shall We Love is a slight departure from Matthews’ previous works, relying more on a ballad style. That’s not to say every song is sombre or slow. An experienced songwriter, Matthews knows how to vary the tempo and timbre of the songs and her ability to match words and music shows a songwriter at the peak of their craft. Ali Matthews’ ability to match words and music shows a songwriter at the peak of their craft. The two songs which really stand out for me are “We Remember,” which I predict will soon be a standard song used before, during or following communion in many churches, and “I Saw Jesus,” which recounts Matthews’ emotions and experiences during a trip to Ecuador with World Vision. In the past, Matthews’ has relied on the strength of her songwriting and simple musical arrangements with a modicum of backing musicians. So Shall We Love producer Andrew Horrocks brings a rich, lush sound to the song arrangements which often feature a host of exceptional musicians, strings and background vocalists. A treat for listeners are the guest musicians Matthews includes: Tim Neufeld (Starfield and Tim Neufeld and the Glory Boys), Jacob Moon, Kevin Pauls, Joel Auge, Dan Macaulay, Matthew Grieve and her daughter, Jo Matthews (on “Love Like You” which they co-wrote). So Shall We Love is the second CD I’ve heard this year that comes from a musician’s experience of a brokenness which finds solace in God’s grace. Whether this is a trend or not, singer/songwriters seem more willing to plumb the depths of their own spirituality and listeners seem ready to hear about it. No matter where you are on your journey So Shall We Love: Songs of Worship and Faith will be a CD you’ll want to have accompany you the rest of the way.